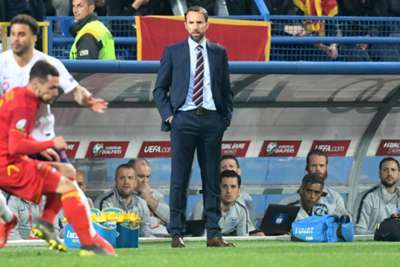 England manager Gareth Southgate is adamant Three Lions left-back Danny Rose was racially abused by Montenegro fans during Monday's Euro 2020 qualifier in Podgorica. Southgate's impressive side ran out 5-1 winners having fallen behind, Ross Barkley the star of the show with two goals and an assist. Speaking to ITV after the game, Southgate said: "I definitely heard it when Danny Rose got booked towards the end of the game. "There's no doubt in my mind that happened, and we'll report it to UEFA. It's not acceptable. "I had a quick chat with Danny as I heard that, but I've not had a chance to talk to Raheem yet. "I don't want to speculate yet, but I know what I heard. We will definitely deal with it in the right way. We have to make sure we support our players."